Decades of research on the tumor suppressor p53 have revealed that it plays a significant role as a guardian of the genome, protecting cells against genotoxic stress. 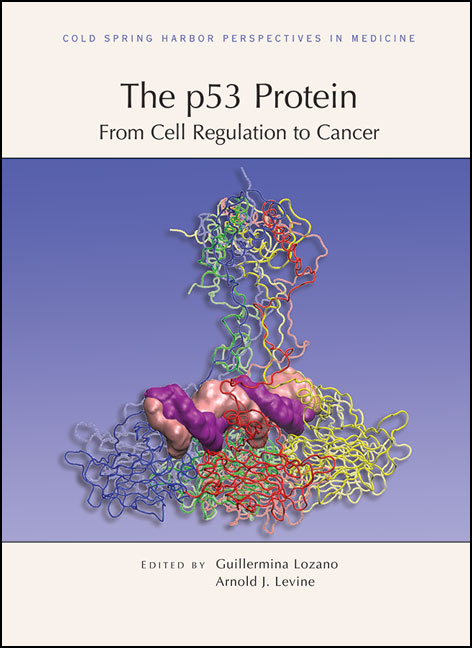 In recent years, p53 research has begun to move into the clinic in attempts to understand how p53 is frequently inactivated inand sometimes even promoteshuman cancer. Written and edited by experts in the field, this collection from Cold Spring Harbor Perspectives in Medicine covers the rapid progress that has recently been made in basic and clinical research on p53. The contributors review new observations about its basic biology, providing updates on the functions of its isoforms and domains, the myriad stresses and signals that trigger its activation or repression, and its downstream effects on genome stability and the cell cycle that enforce tumor suppression in different cell and tissue types. They also discuss how p53 dysfunction contributes to cancer, exploring the various inherited and somatic mutations in the human TP53 gene, the impact of mutant p53 proteins on tumorigenesis, and the prognostic value and clinical outcomes of these mutations. Drugs that are being developed to respond to tumors harboring aberrant p53 are also described. This book is therefore essential reading for all cancer biologists, cell and molecular biologists, and pharmacologists concerned with the treatment of this disease. The Paradox of p53: What, How, and Why?